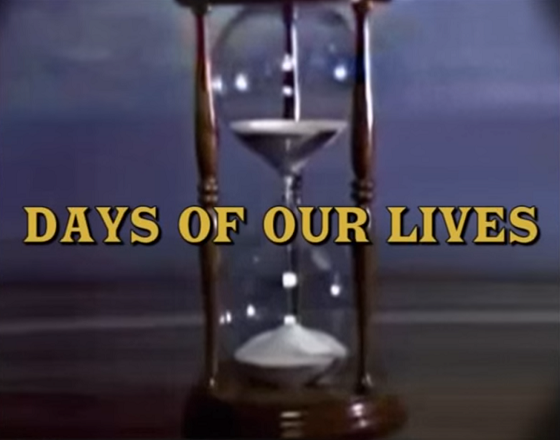 1965: Days of our Lives premiered on NBC. 1965: On Another World, Bill (Joseph Gallison) pressed Missy (Carol Roux) to marry him while they were at the Kopper Kettle, but she declined. 1965: On Peyton Place, after the interrogation of Kim, Stella (Lee Grant) was called to the witness stand. 1965: NBC aired the very first episode of Days of our Lives, created by Ted Corday, Betty Corday and Irna Phillips, starring Macdonald Carey and Frances Reid as Tom and Alice Horton. Read "The Complete Story of Days" from 1965 to 1973 here. 1966: On The Edge of Night, Laura (Millette Alexander) confessed to the murder of Rick Oliver. 1968: On The Edge of Night, Nancy (Ann Flood) and Mike (Larry Hugo) consulted with police chief Phil Capice about Lee's (Tony Roberts) possible involvement in the Kurtz murder. When Nancy visited Lee's instructor at the art institute, she learned that Lee's work began to suffer right after the murder took place. 1969: On The Doctors, Dr. Althea Davis (Elizabeth Hubbard) and Dr. Nick Bellini (Gerald Gordon) got ready for their wedding. 1976: Australian evening soap opera The Young Doctors premiered on the Nine Network. It ran for 1,396 episodes until 1983. 1979: On As the World Turns, Kim Stewart (Kathryn Hays) visited Lisa Colman (Eileen Fulton) at The Willows. 1985: On Days of our Lives, Patch (Stephen Nichols) kidnapped Hope Williams Brady (Kristian Alfonso) at knifepoint. 1993: On General Hospital, Sly Eckert (Glenn Walker Harris Jr.) brought Lucky Spencer (Jonathan Jackson) food in the catacombs. Luke (Anthony Geary) and Laura (Genie Francis) were rescued from the falls by a helicopter and crashed a wedding. Later, they came across an old house and took shelter for the night. 1995: On One Life to Live, David Vickers (Tuc Watkins) told Kelly Cramer (Gina Tognoni) that she was the only woman for him. Later, Joey Buchanan (Nathan Fillion) interrupted the happy couple to reveal David was with "Madeline Helmore" last night. 1999: On As the World Turns, Vicky McKinnon (Jensen Buchanan) was presumed dead in a plane crash. 2000: Days of our Lives celebrated its 35th anniversary with a musical montage. 2010: John Wesley Shipp debuted as Eddie Ford on One Life to Live. Thanks to Terrence for sending in the item above.